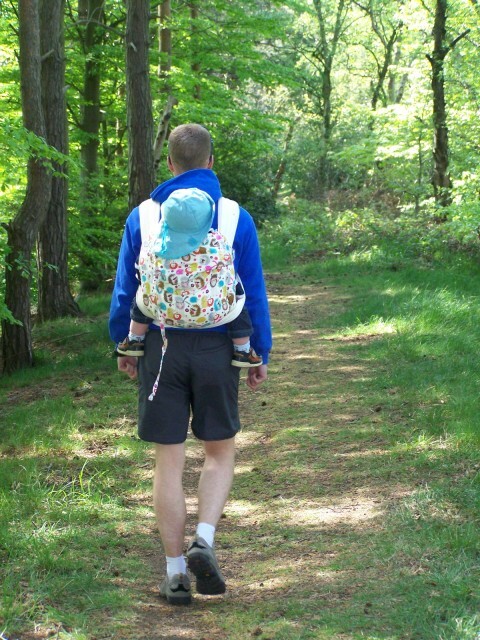 The library has an extensive collection of carriers and carrier accessories, allowing you to get a real feel for which will suit you and your child. Whether you are looking to snuggle up with a newborn, move on from your front-pack, sling your toddler on your back or rent something beautiful for a wedding or christening, there is something to suit you. The slings in the library are divided into a few main categories. Here is a brief description of the main benefits of each, and links to the carrier instructions for each type of carrier there is in the library. You can look at the full range of our carriers here. This is our live inventory site and should show up to date rental options, brands, colours, and sizes. If you are planning on coming along to a session, registering with this site is a simple process and saves lots of time on the day – when you decide on your rental carrier taking it home takes only a few clicks. Buckle carriers are also known as Soft Structured Carriers (SSCs) and are generally most suited to babies from 4 months of age, but some can be used from birth. The main body of the carrier forms a soft seat for the baby, and the adjustable straps connect to this at shoulders, side and waist, giving a six-point anchorage which really helps to keep the baby close to your centre of gravity. Buckle carriers are ideal front and back carriers, and can be used in a hip carry although they perform this function less well than a specialist hip carrier like a pouch or ring sling. Some buckle carriers have highly structured waistbands which provide excellent support, and most have an integral chest-belt strap giving a choice of methods of wearing. Pouches are non adjustable carriers which are sized to your body. Incredibly simple and easy to use, they are ideal pop-in pop-out carriers for short periods. They can also be very stylish. They can be difficult to switch between parents as they are sized to the wearer, and do not offer two shouldered support but they help to keep the body aligned when carrying on the hip, and fold up tiny to put in your bag. Hipseats offer no body support at all and are a carrying aid but help to keep you upright and strain free. 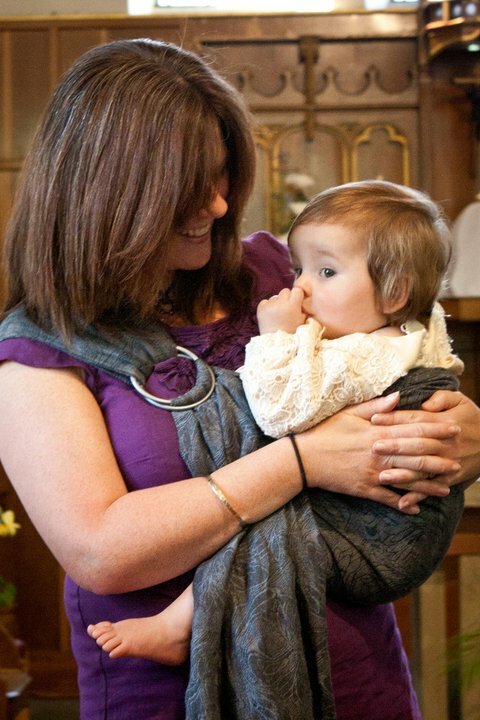 Ring slings are hip carry specialists and ideal for popping baby in and out on the front as well. Often called the most beautiful type of carrier, ring slings are ideal accents to formal outfits for occasion wear, or more everyday if you prefer. 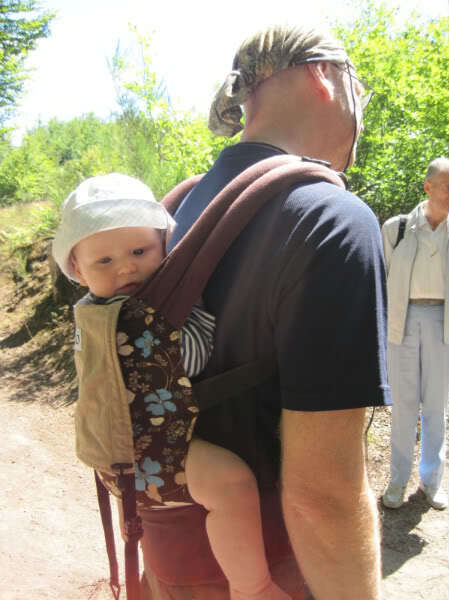 This type of carrier can usually be used from newborn to toddler and is very simple to use once you have the knack. We have a large selection of ring slings made from high quality woven fabric in a variety of colours and patterns. Stretchy wraps are soft and pliable wraps designed to work best with newborn or young babies, although many premium brands offer a longer use span. Offering a snug and cosy environment for a young baby upright on your chest, they are an ideal extra pair of hands – exactly what you need with a young baby. They can be tied on and left ready for use. Tie on carriers, or mei tais, are versatile and beautiful front and back carriers from birth to preschooler. They come in all kinds of shapes and sizes, with headrests, sleephoods, pixie hoods, wrap straps, padded straps, padded waist, adjustable waist, seat darts poppers, ties…the library can help you make a selection that will suit you. Most mei tais can be used legs in from birth. The main body of the carrier forms a soft seat for the baby, and the long straps cross behind your shoulders, and over the baby’s bottom, giving a six-point anchorage which really helps to keep the baby close to your centre of gravity. Tie on carriers are ideal front and back carriers, and can be used in a hip carry although they perform this function less well than a specialist hip carrier like a pouch or ring sling. Woven wraps can carry newborn to preschool children on the front, back and hip. 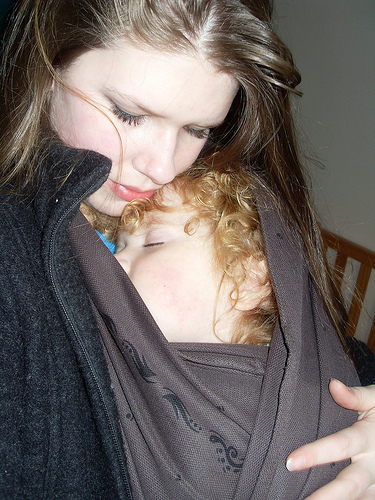 Some people say woven wraps are the most comfortable baby carrier there is, they are certainly the most versatile. They are highly fashionable and many brands come in exceptionally beautiful fabrics. They can be simple or more complex to use depending on your needs, and come in several lengths according to your needs. There are a number of accessories in the library which are shown with the carrier, or can be rented seperately. There are also library carriers which are used for demonstration purposes only.